Today's introduction of The new iPad impressed research firm IHS. 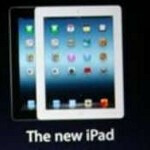 The firm says that thanks to the new iteration of the iPad, Apple will dominate the tablet market in 2012 by grabbing a 61% share of the tablet market. Part of the reason for Apple's success will be continued confusion amongst Android tablet manufacturers. While the Apple iPad owned 62% of the global tablet market in 2011, the entire market was much smaller last year with less competition from Android models. That makes the forecast 61% slice of the pie much more impressive for 2012. And because Apple has a knack for getting its fans to pay more for its devices, on a revenue basis Apple actually owns a bigger percentage of the tablet market. As an example of this, even though Apple's share of the global tablet slipped in Q4 to 57% from 64% in the third quarter, Apple owned a whopping 74% of the revenue in the world wide tablet market in the fourth quarter of last year. Rhoda Alexander, senior manager, tablet and monitor research for IHS now sees Apple dominating the tablet market through 2014. She noted that none of the Apple iPad competitors have proven that it could compete with Apple in the premium-priced tablet market. With Windows 8 tablets pushed back to 2013 and, as IHS puts it, "most of the Android competitors now regrouping," the firm sees fewer tablets sold for Apple competitors in 2012. This year, IHS sees Apple selling 75.3 million tablets vs. 48.3 million for the competition. While growth of the total tablet market will slow, the analytic firm sees a total of 123.5 million tablets sold this year, rising to 197 million in 2013, 250 million in 2014, 285 million in 2015 and 311 million in 2016. 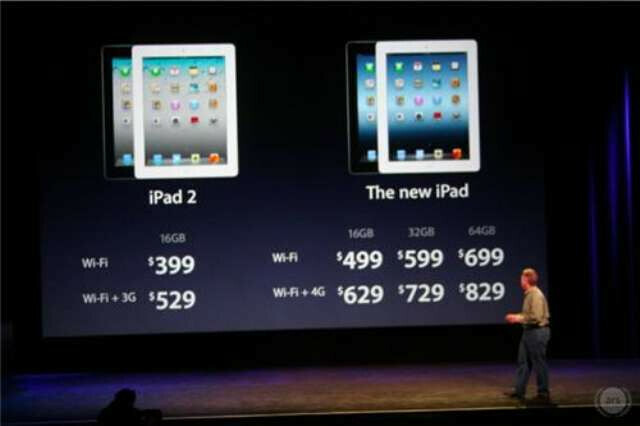 Alexander says that The new iPad is raising the bar for "media tablet performance," and with an expected shortage of the third-generation Apple tablet frustrating buyers during the year, the analyst sees buyers flocking to the Apple iPad 2 with its $100 discount off the price of the new tablet. Hope this random article is true for Apple... Android openness will eventually take over Apple.... and when windows brings a gang buster apple is gonna be old news! How many more ipad3 articles are we gonna have to stomach today. This makes article number 29 in less than a 24 hour period. It gets harder to defend PhoneArena from people constantly calling it iPhoneArena when there is this much coverage on one device with very little change to it! Maintain your objectivity PA.
Yup, been getting so annoyed from seeing a ton of similar posts for the same exact thing. It's just cluttered with iPad articles and makes it difficult to find some actual news. I didn't. Not all of them at least. But I'm just asking for some different content. Something different to read, because the first 20!!! articles covered everything we needed to know.